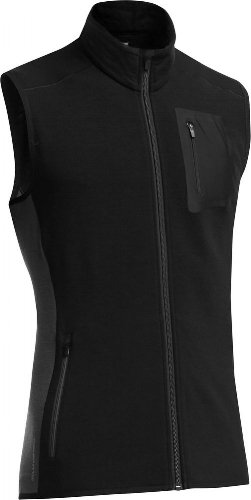 This merino wool gilet from Icebreaker combines smart looks, a great slim cut and good ethical credentials in one comfortable, warm and breathable item. It’s not the lightest and it’s quite pricey, but its warmth and breathability make it a great choice to wear over a base layer in the cold or under a jacket when the weather is throwing everything it has at you. Smart looking, very comfy, and great in a layering system.